Pets have allergies just like humans. Unfortunately, just like for humans, pet allergies seem to be on the rise in recent years. Your pet can develop allergies at any time throughout their life. If your dog or cat is scratching incessantly, they could have a flea allergy. This type of allergy can be easily controlled by eradicating fleas from your pet and home by asking your veterinarian to prescribe effective flea medications. However, other allergies can be difficult to diagnose and treat. Many common substances can cause allergies including pollen, mold, dust mites, dander, cigarette smoke, feathers, beef, chicken, pork, corn, wheat, soy, prescription drugs, fleas, perfumes, cleaning products, fabrics, rubber and plastic, and shampoos. Food allergies commonly cause itchy skin, chronic ear infections, diarrhea and vomiting. If you suspect your pet has allergies, consult with your veterinarian. There are skin and blood tests or special elimination diets available to find the cause of your pet’s allergic reaction. Food allergies can only be properly diagnosed by strict adherence to a prescription or hydrolyzed protein diet exclusively for 12 weeks. No treats, table food, or flavored medication should be given during this time. This diet is continued until the symptoms disappear. Old foods are then reintroduced to determine which ones are causing your pet’s allergic reaction. Other allergies are treated by removing the allergies from your pet’s environment. Prevention for flea control is the best treatment for allergies caused by fleas. Dust allergies can be controlled by cleaning your pet’s bedding once a week. You should also vacuum frequently being sure to include rugs, curtains, and other materials where dust gathers. Weekly baths may help alleviate itching. 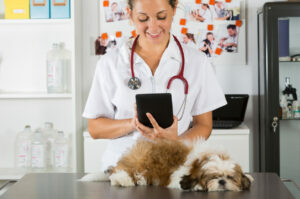 Your veterinarian can recommend effective prescription shampoos available for your pet. 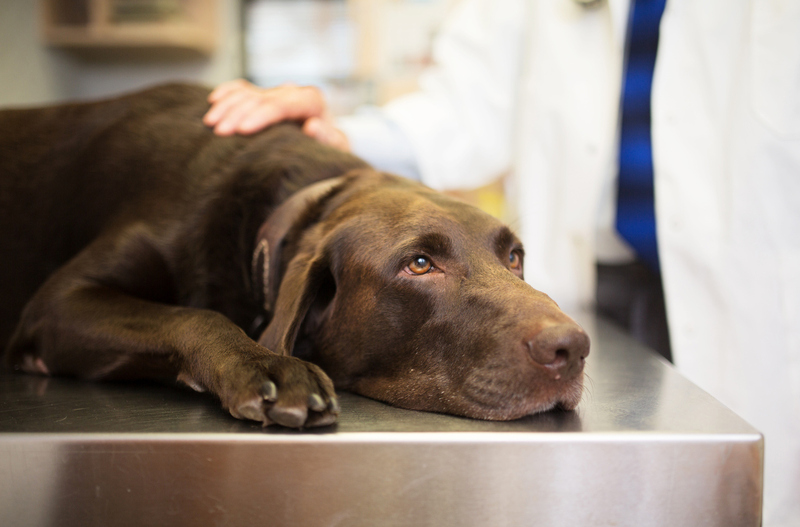 Allergy medications are available to control your pet’s allergic reaction. Allergy injections will help your pet develop resistance to allergies instead of masking the itch. Antihistamines can be used but may only benefit a small percentage of pets with allergies. Always ask your veterinarian before giving your pet an antihistamine. Certain supplements such as fatty acid supplements might help relieve itchy skin. There are immune modulating drugs which can also be prescribed. Cortisone can be used for severe allergies but should only be done under the guidance of your veterinarian. Exposure to inhaled irritants, including cigarette smoke, can cause bronchitis in dogs. A persistent cough and excessive mucus production may indicate bronchitis. Treatment includes medication to open breathing passages, antibiotics, and anti-inflammatory agents. Cats can develop asthma from environmental pollutants, pollen, and stress. Medication to open breathing passages may be prescribed. Long term treatment with corticosteroids may also be appropriate. Cigarette smoke is harmful to cats and dogs and exposure can be harmful. If your cat has asthma, it is absolutely vital to ensure they have no exposure to cigarette smoke. Though pet allergies are frustrating and miserable for both pet and owner, they can be managed and perhaps eliminated entirely. The key is to find out what is causing your pet to scratch incessantly or display any other symptom mentioned previously. 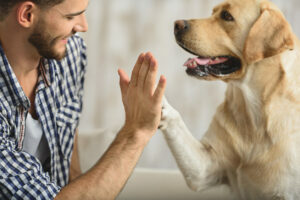 Once you and your veterinarian have determined the cause of your pet’s allergy, together you can develop a plan to help your pet enjoy a healthier and happier quality of life. Which in turn means your life will be healthier and happier.